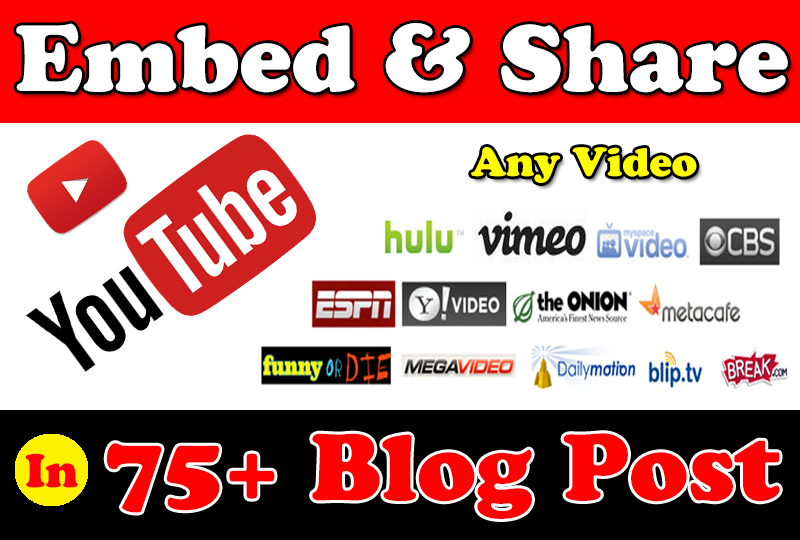 I will Manually Embed and Share your YouTube video in 75+ blog Posts with Content in Our Own website ( Sub-domains ) Network. You can also provide your own Spin-tax Format Article. All Links are Permanent and Live forever. Full Report, With Bonus Links. This will help your YouTube videos rank better thanks to this embed shares and quality back links from our blog posts. We would like to present you special packages for YouTube Videos. Also Check My Extra's For Better Rank in Search Engine. Manually Embed and Share your YouTube video in 75+ blog Posts with Content is ranked 5 out of 5. Based on 77 user reviews.